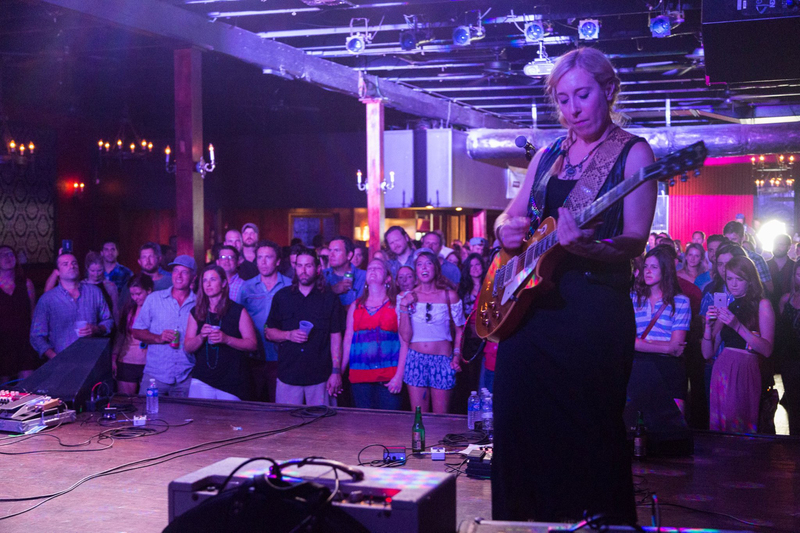 There’s a new nonprofit in town that smartly combines three things Austin is known for: the music scene, the tech world and delicious food. 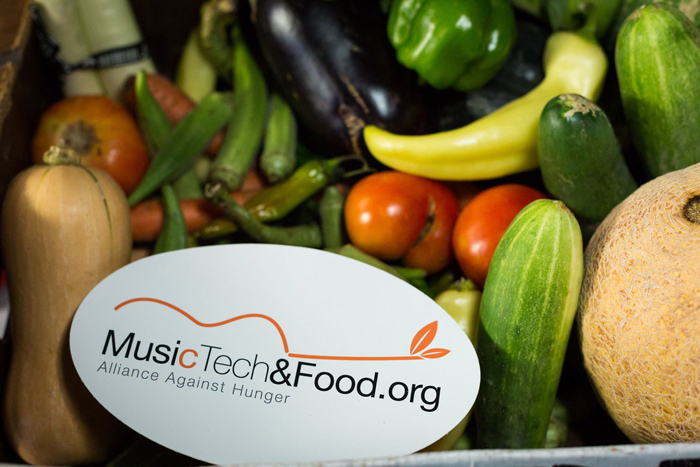 Aptly called MusicTechandFood.org, this organization brings music lovers and tech gurus together to help fight hunger in Austin. One in seven Americans must make tough choices everyday when it comes to food. They skip meals, eat cheap, non-nutritious foods and live with food insecurity. In the United States, it’s estimated that 15.3 million children feel the weight of food insecurity, as well. To find out how MusicTechandFood.org battles these appalling statistics, I spoke with co-founder, Jake Sussman. Sussman saw the opportunity to fuse music and tech when he observed the success of technology company food drives during his many years of working in that world. At the same time, he noticed how well hunger relief efforts worked at music shows, as a way of engaging concert-goers’ philanthropic side. In order to set up a donation kiosk at concerts, MusicTechandFood.org looks for touring musicians and asks the venue and band management whether they can feature a technology station at the show. Each iPad kiosk has donation options that let fans give while they enjoy the music. Tech drives, on the other hand, last for about a week in a company’s office building. 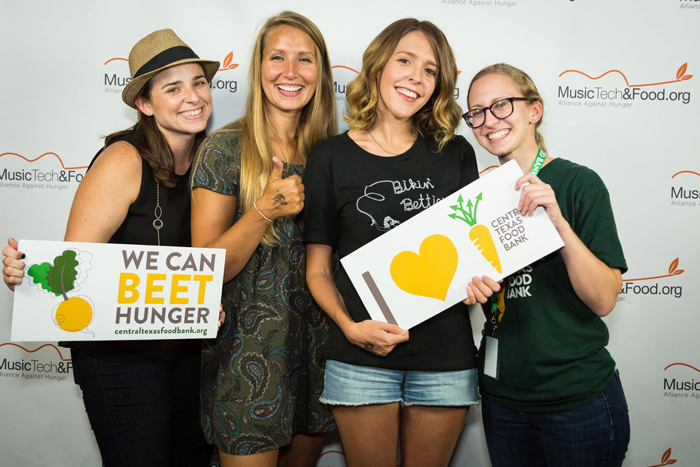 In addition to working with successful food distributors, MusicTechandFood.org has smartly and thoughtfully focused on bringing foods with high nutritional value to those in need. Through research, they discovered that many food drives bring in many easy-to-drop-off foods that, when eaten in bulk, can lead to obesity and diabetes. To work against this, they’ve involved local farms to increase the nutrient level and cut down on food waste by distributing items that might not last long enough to be used at a restaurant or farmers’ market. MusicTechandFood.org’s official launch party took place on July 20 at The Parish. Heartless Bastards and Those Poor Serfs brought amazing music to a crowd that was ready to give to a good cause and embrace a combination of communities that makes Austin so vibrant. Sussman also predicts that MusicTechandFood.org will spread to other cities, as well. In order to make all of these dreams possible, they will need more volunteers on their side. To get involved with MusicTechandFood.org, submit a volunteer form via their website. Volunteers will most likely work live music events, make food deliveries or set up food drives. 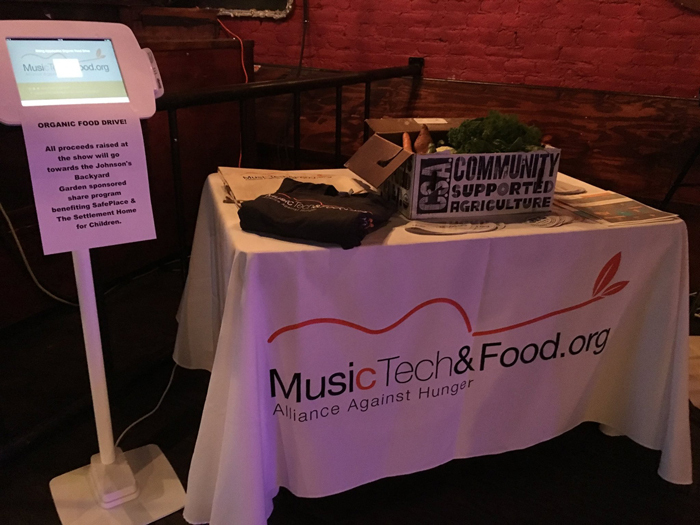 Also, if you know a band, venue or tech company that would like to set up a kiosk or donation station with MusicTechandFood.org, share this website that contains more information. 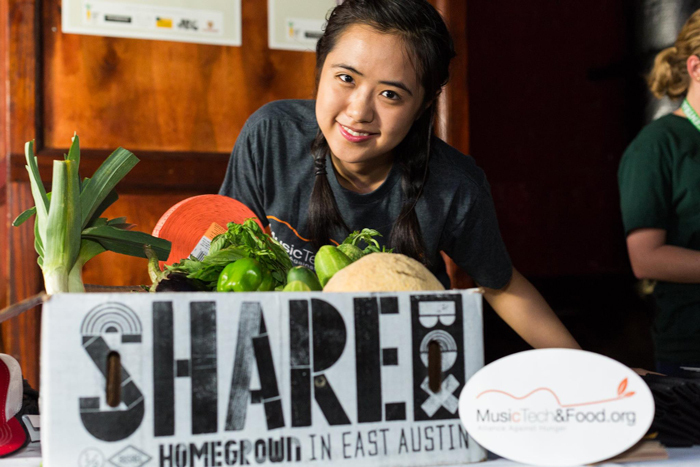 Be sure to follow this new organization on Twitter, Instagram and Facebook to find out about MusicTechandFood.org’s next events, and make a donation of your own to fight hunger that has no place in Austin. What’s your favorite way to give back to the Austin community?